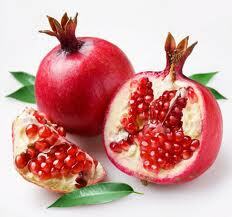 Pomegranate has long been hailed as a superfruit for its health-giving properties. Now, a study says that its juice could help combat kidney disease. Researchers in Israel claim to 've found evidence that drinking pomegranate juice can stave off complications in kidney patients on dialysis, including slashing the high death rate from infections & associated heart problems. According to researchers, this is because of the fruit's high levels of antioxidants. In fact, they 've based their findings on an analysis of a group of kidney patients, some of whom received either pomegranate juice or a placebo drink before dialysis. Those who had pomegranate juice fared better because the antioxidants helped to neutralise harmful compounds in the body, the findings revealed. Lead researcher Dr Batya Kristal of the Western Galilee Hospital, however, called for further clinical trials "considering the expected epidemic of chronic kidney disease in the next decade". Pomegranate juice is not only one of the healthiest drinks on earth, but it's also very tasty & easy to prepare. Cut each pomegranate into 2 pieces & soak in water for 1 hour. Juice the pomegranates in a juicer & filter out the unnecessary parts. Put the pomegranate juice in a bowl & add the lemon juice. Mix well & cool in the fridge for 1 hour. Add the ice cubes, mint leaves & sugar. Mix well & enjoy your healthy & delicious pomegranate juice.